Boxing great Muhammad Ali died Friday in Phoenix, Arizona, a family spokesman said. He was at a local hospital suffering from respiratory issues that have been complicated by the Parkinson's that he was diagnosed with in the 1980s. Doctors say the Parkinson's likely was caused by the thousands of punches Ali took during a career in which he traveled the world for big fights. He was 74. At the height of his career, Ali was known for his dancing feet and quick fists and his ability, as he put it, to float like a butterfly and sting like a bee. He held the heavyweight title a record three times, and Sports Illustrated named him the top sportsman of the 20th century. Nicknamed "The Greatest," Ali retired from boxing in 1981 with a record of 56 wins, 37 by knockout, and five losses. 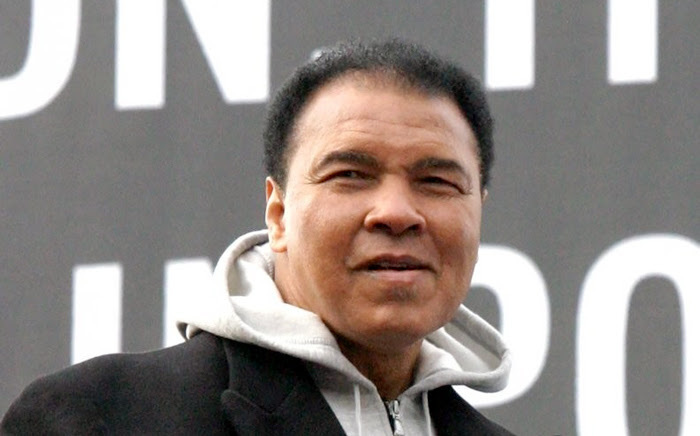 Ali's diagnosis of Parkinson's came about three years after he left the ring. Ali, born in Louisville, Kentucky, as Cassius Marcellus Clay Jr, changed his name in 1964 after his conversion to Islam. Ali had a show-time personality that he melded with dazzling footwork and great hand speed. His bouts with such fighters as Sonny Liston, Joe Frazier and George Foreman made him an international celebrity like boxing had never seen. He became a symbol for black liberation during the 1960s as he stood up to the U.S. government by refusing to go into the Army for religious reasons. Ali made a surprise appearance at the Atlanta Olympic Games in 1996, stilling the Parkinson's tremors in his hands enough to light the Olympic flame. He also took part in the opening ceremony of the London Olympics in 2012, looking frail in a wheelchair. He has been married four times and has nine children. Ali's daughter Laila, a former boxer, tweeted a photo of her father kissing her own daughter, Sydney. She thanked supporters for their wishes for Ali, saying, "I feel your love and appreciate it!"